The Rampal Electricity Generation Project has largely remained in the headlines as a topic of a heated debate since the inception of the project idea. 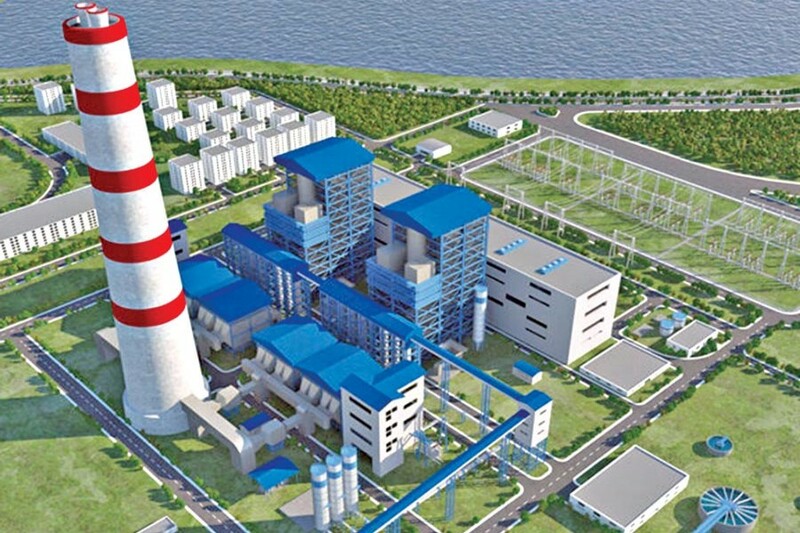 It is a major upcoming project in Bangladesh that involves a 1320-megawatt coal-fired power station situated in the Rampal sub-district of Bagerhat district under Khulna. While arguments are there go against the establishment of this power plant, that is being planned to be set up near the Sundarbans and that will threaten the biggest mangrove forest in the world and a national heritage of Bangladesh, some others also argue that it will be a major source of electricity and generate employment for local workers. The Sundarbans accommodates many endangered species, the most prominent of which is the Royal Bengal Tiger. The construction of the coal-fired Rampal power plant, which is situated 14 kilometres from the Sundarbans, will significantly affect this wildlife sanctuary as well as the ecosystem of the area, and eventually also hurt the tourism industry that is built around the Sundarbans. Moreover, thousands of farmers who are dependent on agriculture and fisheries in the surrounding areas will also face a negative commercial impact of it. Conversely, the Rampal plant will be a big reservoir of power, as well as a source of employment for the local workers employed to work there. * People of Bangladesh: In the event of the Rampal power plant, the people of Bangladesh will be both beneficiaries as well as the group adversely hit because of the project. They will be beneficiaries because the electricity generated by the Rampal power plant will ultimately be used for personal and commercial purposes by the people. However, all the negative impacts of the power plant will ultimately hurt the people of Bangladesh who take pride in this national as well as global heritage site. Harm to the Sundarbans would mean harm to their national asset. Plus, the 7,500 people who are involved in farming as livelihood in the vicinity of the proposed site for Rampal will suffer a direct blow to their livelihoods with the destruction of their farm produce. So, in terms of the people of Bangladesh, the costs of the Rampal project are certainly heavier than its benefits. * Government of Bangladesh: The government of Bangladesh will be the decision makers in this case, as well as financing agents who will ensure the financing by means of loans. However, for the government, the cost-benefit analysis will not be that straightforward. While the Rampal project is a threat to the national asset, Sundarbans, it is also the government's responsibility to ensure uninterrupted supply of electricity to its people. So, the government will need to set up power generating plants to ensure that. However, weighing the negative impacts of the Rampal project, its current intended location is not an ideal one for constructing it. However, it should also be noted that the government of Bangladesh has refuted the allegations that the coal-based power plant would adversely affect the world's largest mangrove forest, because the emission of greenhouse gases will be kept at a minimum. Moreover, the government has ensured importing high quality coal, building a 275-metre high chimney, and employing state-of-the-art technology. These are some of its various steps to keep its impact on the Sundarbans at a negligible level. * The natural resources and wildlife heritage of the Sundarbans: The natural resources and wildlife based in the Sundarbans will face the biggest hit and lose their homes and safety, if the Rampal project comes into being. And with this, Bangladesh will lose its valuable natural resources. * The Indian state-owned company, National Thermal Power Corporation (NTPC), commissioned to implement the project along with Bangladesh Power Development Board (BPDB): They will be the implementers of this project and they will mainly benefit from it. And particularly for NTPC, being a foreign organisation, the environmental threats that the power plant poses will entail no national loss or threat. * The 600 potential workers who can obtain employment at the power plant itself: These workers as well will be the field level implementers of the project who actually work in the plant itself. However, it is only 600 potential workers and by no means this small number makes up for the various irreparable threats of damage posed by the Rampal plant. There are many social factors or variables on which projects such as the Rampal power plant may have an impact. Mainly these include: environment, economy, infrastructure, community, and health. From the project context and the stakeholder analysis, it seems that in case of Rampal power plant, the most largely affected variables will be environment and economy. In favour of economic gains, a big environmental factor is being at stake. In addition, the project will also spread its impact across the areas of infrastructure, community and health. As of now, the Sundarbans has a very favourable environment that serves as a sanctuary to rare wildlife, however, this environment is delicate and can be easily hampered and destroyed by any man-made interference. Therefore, the environment is largely at risk as far as the implementation of the Rampal power plant is concerned, given the pollution and damage it will cause. Closely tied to the environment factor is the social factor -economy. Not only is the Sundarbans currently the habitat of many endangered species. But also, as mentioned earlier, right now as far as 7,500 farmers are dependent on agriculture in the Sundarbans region whose livelihood will be badly impacted by the pollution caused by the Rampal plant. So, the economy will face one initial blow here. One might argue that the Rampal plant will generate electricity at a commercial level which in turn will create a lot more employment both directly at the plant as well as in various other industries that will be run by the electricity generated. While that is not wrong, another harmful impact on the environment in the Sundarbans is that eventually it will lose the tourists who are attracted to Bangladesh by the beautiful Sundarbans and the diverse wildlife it has to offer. So, the tourism industry of Bangladesh and its image to the external world will also be harmed. Hence, the negative impacts brought about by the Rampal plant may outweigh its benefits by far and end up having a detrimental effect on the economy of Bangladesh. The writer is Regional MRM Adviser, Swisscontact. The views expressed in this information product are those of the author(s) and do not necessarily reflect the views of Swisscontact.